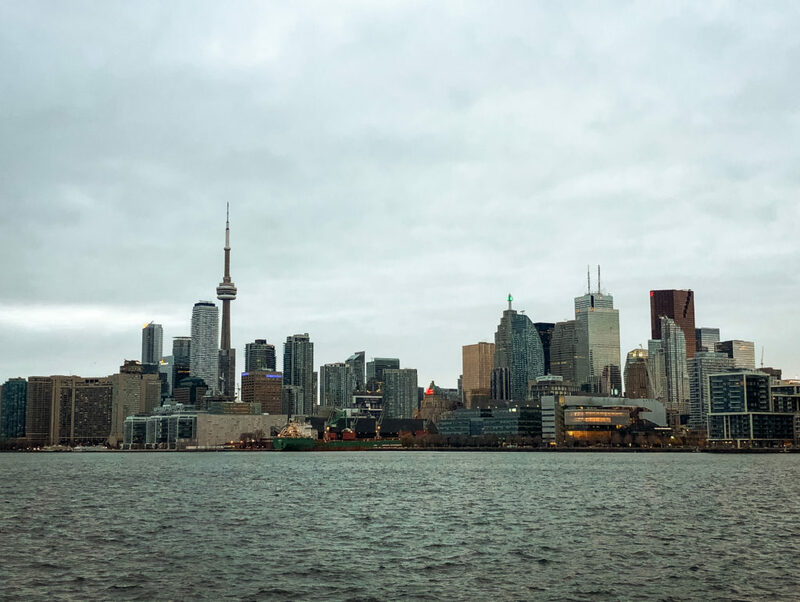 Our weekend in Toronto was an unplanned trip. We had to go to NYC for a few days, so I thought we may as well tick off another country from my list and visit Canada while we were close by. After a weekend in Toronto, I was cross with myself for not visiting this country before, especially after living in New England for so long at one point. 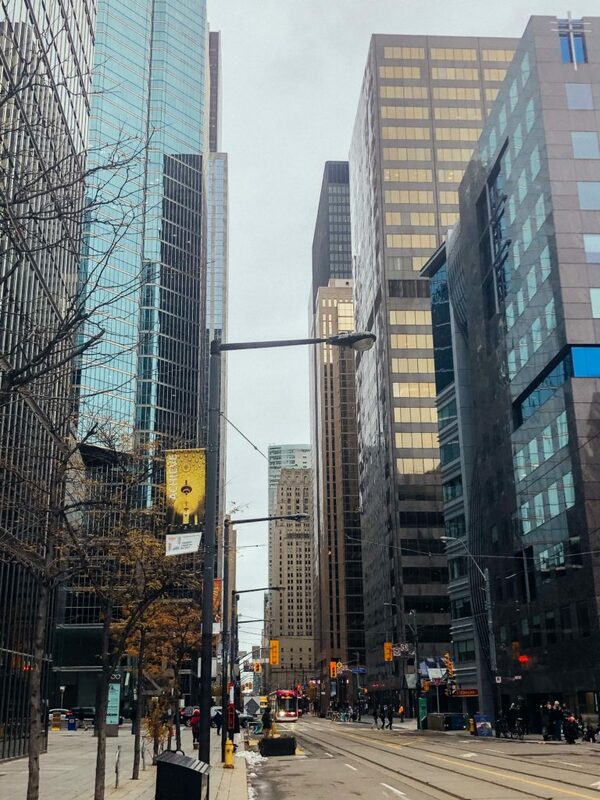 Even though it was pretty cold, Toronto stole my heart! Like many places these days, the popular way to get to Toronto is by flying. Getting to Toronto from London or many other bigger cities in Europe is pretty easy. There are lots of direct flights that take about eight hours. Going through security was very easy as well, and for the first time I literally didn’t have to speak to anyone – I just had to scan my passport. Make sure you check before if you need a visa or ETA, and don’t end up doing what I did, which was paying $80 instead of a few bucks. The airport is located 25km from the centre of Toronto and and you can take a bus, taxi or Uber (there’s a separate exit at the airport for this so it was so easy to find), as well as the Union Pearson (UP) express, which takes you to Union Station. Getting to Toronto is also possible by train if you’re travelling from cities like Montreal or Vancouver (apparently it’s possible to do it in three days!). Alternatively, you can catch a bus if you’re travelling from the States. After checking in to our hotel Delta Hotels by Marriott (which had the most incredible view! ), we made a beeline for… Chinatown! 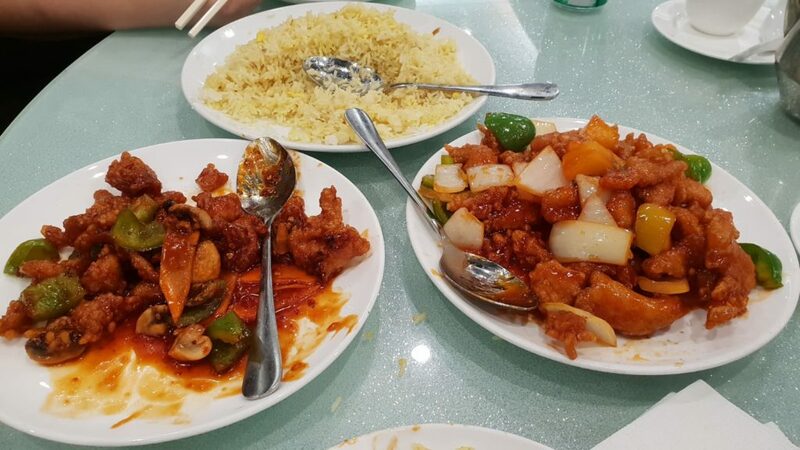 After living in Poland for a couple of months, where authentic Chinese food basically doesn’t exist, we were dying to eat some! I know we chose the wrong side of the world but we’d heard Chinatown in Toronto was pretty impressive. A little bit of research later and we were on our way to a restaurant called House Of Gourmet. We definitely hit the jackpot! The food was just amazing, so we went back the next day as well. Chinatown in general was nice, although it didn’t have the great atmosphere you get in London, Boston or Singapore. With full stomachs, we decided to visit the area nearby where we met up with some locals who we became friends with in Krakow. They showed us around the Kensington Market but because it was quite late, most of the shops were closed. Even so, it was nice to grab a few beers in some unique bars there. We ended the night at the big 3D Toronto sign near the Nathan Phillips Square. 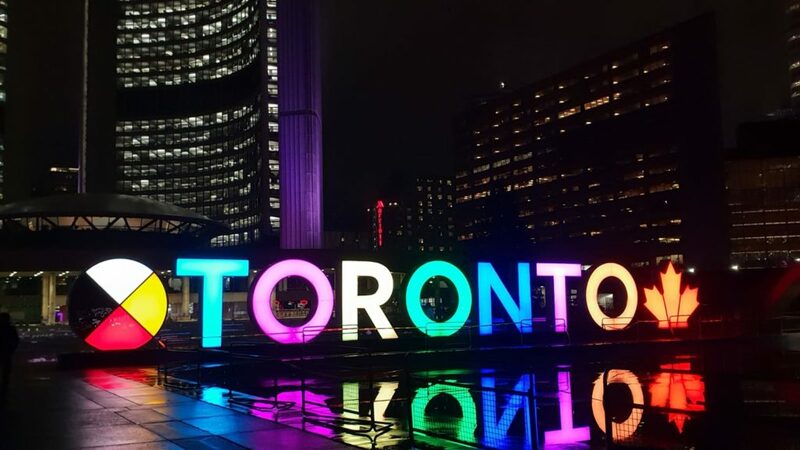 I’ve seen those signs all over the world but I have to admit with such beautiful colours, Toronto’s is my favourite. Because we were only spending a weekend in Toronto, we only had one day left. That meant the plan for Saturday was to see as much of the city as possible. We started the day with a delicious breakfast at the Eggspectation, admiring Old City Hall along the way. 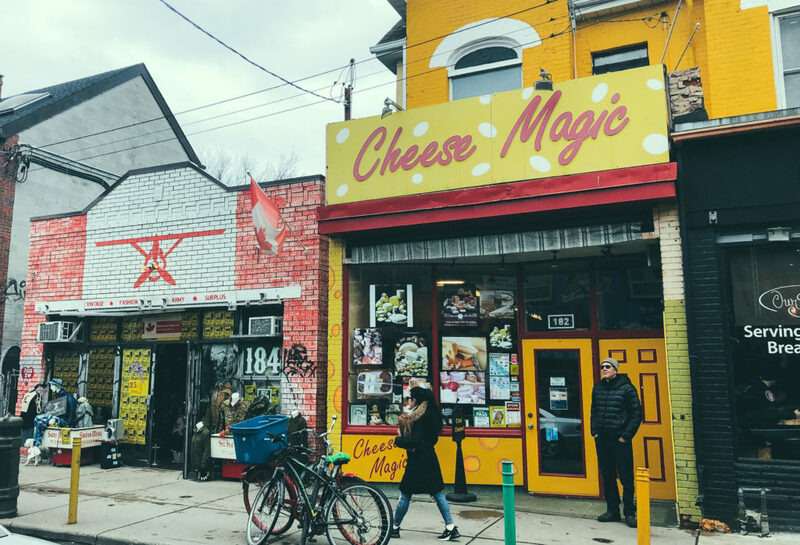 Afterwards, we walked back to the hipster neighbourhood of Kensington Market to explore it during the day. 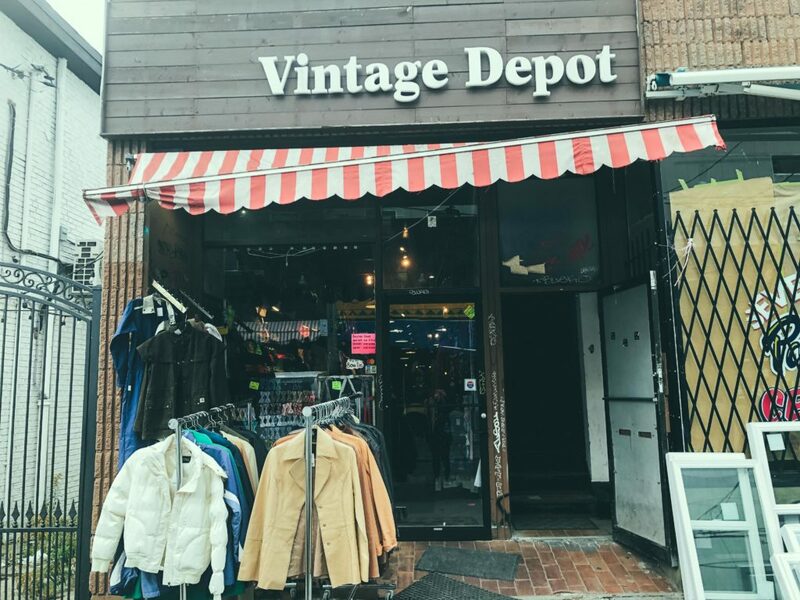 It was a great place full of amazing vintage shops, cafes, restaurants and food stores. 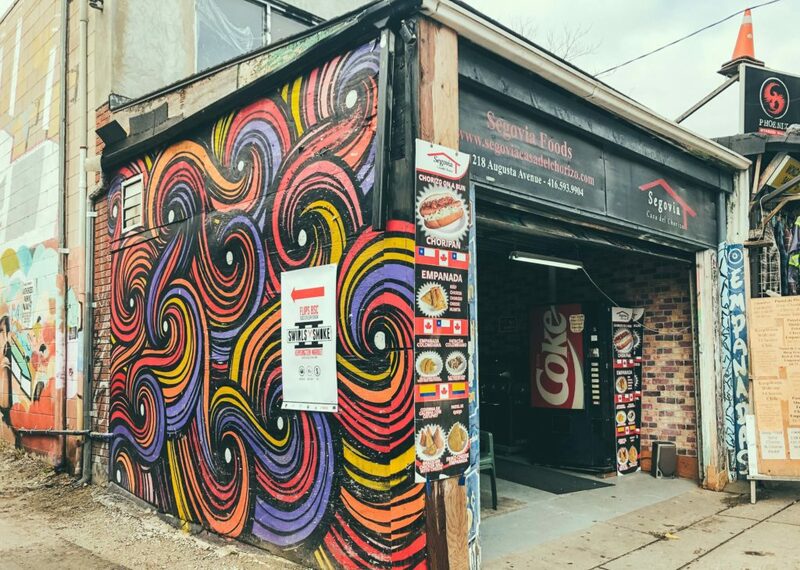 You’ll find everything that is alternative and unique in one place here. 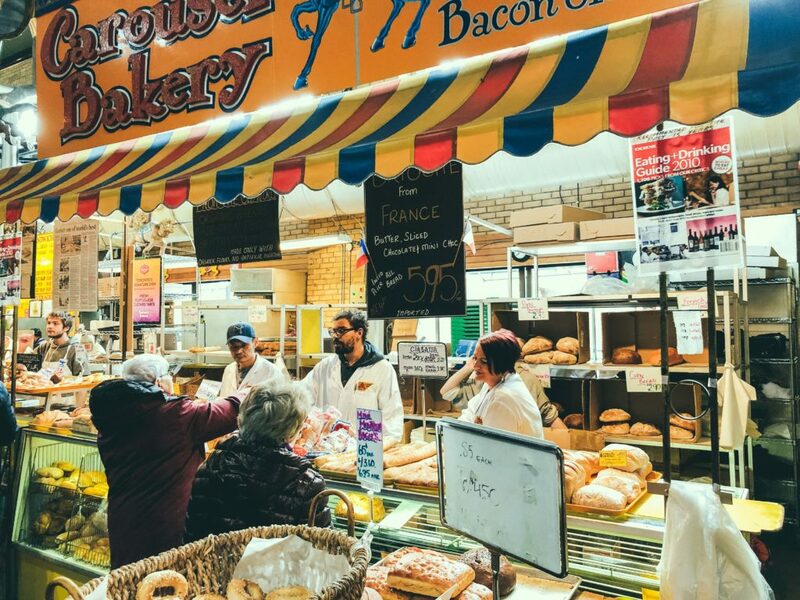 They call it a market, but it’s more of a maze of narrow streets with beautiful, colourful shops and Victorian houses. Because Chinatown was nearby, we got to see it during the day too. 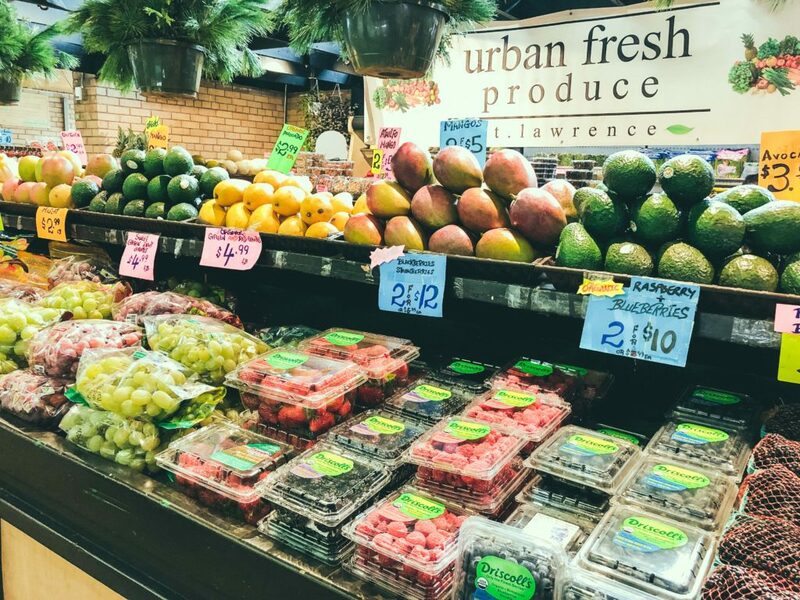 It’s fairly big but not as impressive as others, being more of a street with small shops full of exotic fruits, herbs, and all kinds of treasures from the Far East. It didn’t make me feel like I could have been in Asia. Our next stop was Graffiti Alley. 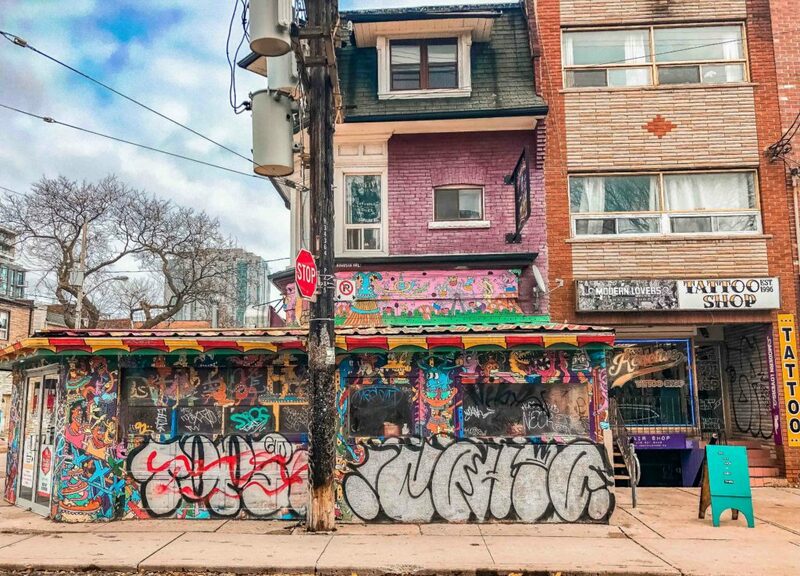 You will see many stunning graffiti works all over Toronto, but this place is the main one to admire the talented artists’ designs. Even though it was lunchtime, we didn’t feel like eating a full meal yet, so we checked out a popular ice cream place called Sweet Jesus. It definitely wasn’t easy to find – we walked around the building twice and still had trouble! Luckily, Google photos came to our rescue with a picture of the door. Inside this tiny premises, they serve the most incredible ice cream with super-sized portions. 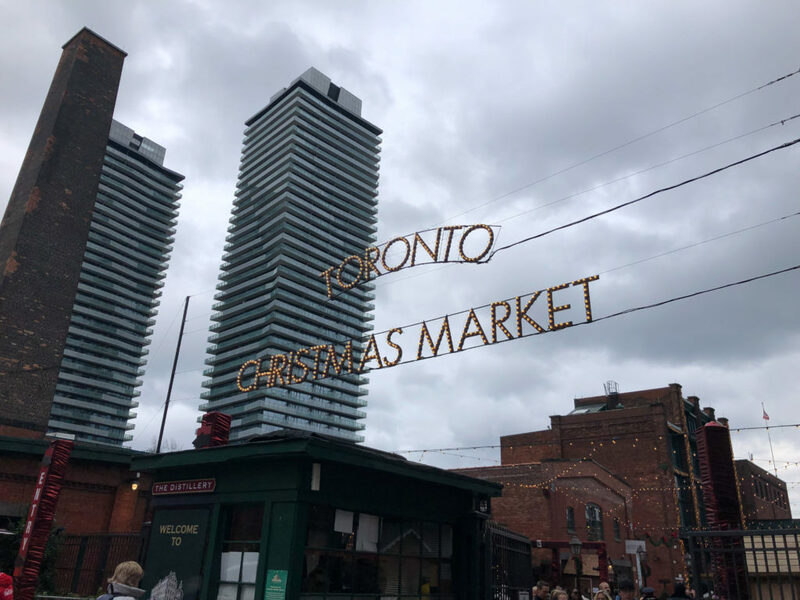 Continuing our walk around the city for our weekend in Toronto, we passed the Gooderham Building and reached our next stop, St. Lawrence Market. The range of fresh products there, especially fish, will definitely leave you wishing this market was closer to home. There’s nowhere like it where I live – the locals here are lucky. 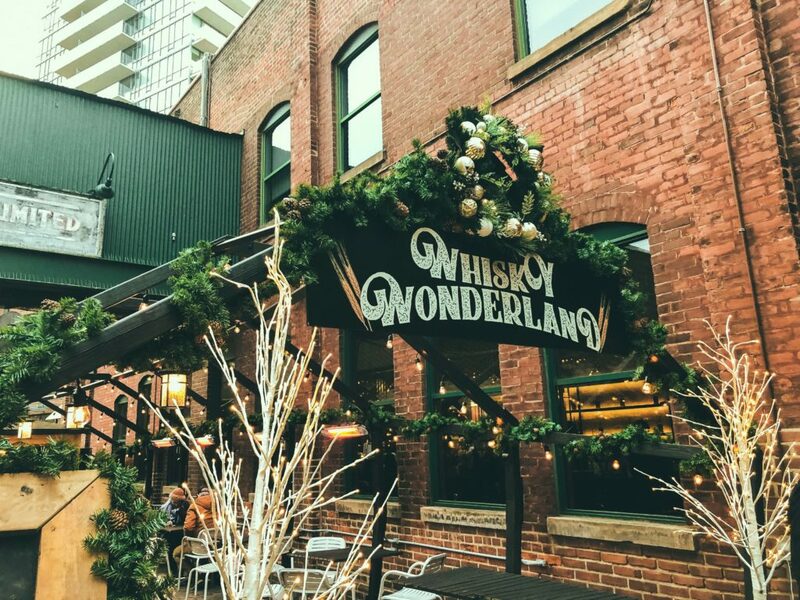 One of our last destinations for the day and I think my favourite place in Toronto was the Distillery District. Springing from an idea to convert old industrial areas into a small town, this district is so wonderful now. Visit and you’ll find unique shops, a mini brewery, coffee shops, art galleries and restaurants. It’s a place that been used in many movies, including Chicago. 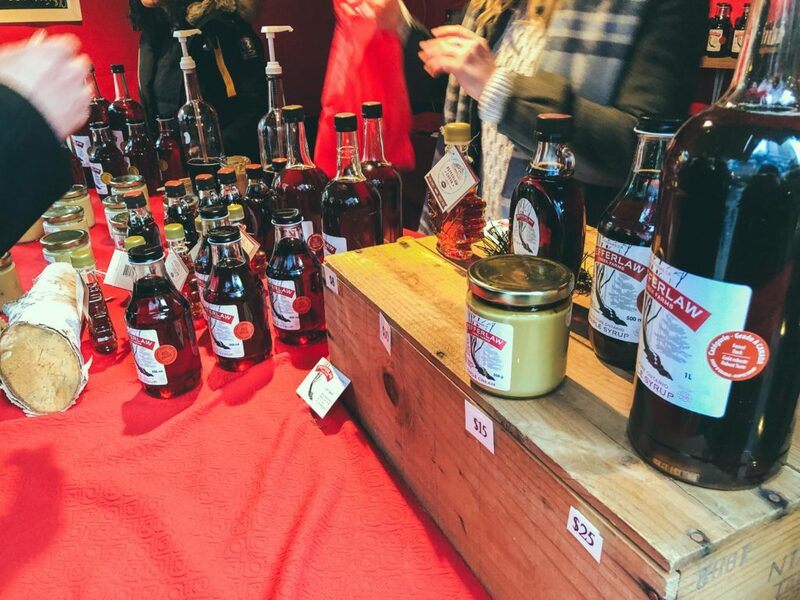 We were there during the Christmas markets and it was even more magical. Picture a massive tree in the middle, festive music playing, amazing food trucks with delicious snacks and many, many other attractions. It was getting late and I really wanted to see a view of Toronto from the lake side. We didn’t have time to take a boat to Toronto Island, so we decided to walk to Jennifer Kateryna Kovalskyj Park. I found it on the map and it looked like a good view point. It was also winter, so you can imagine how sketchy the empty park felt in the dark near the Harbour Pier. I’d heard that Toronto is a pretty safe place, so I wasn’t panicking. That being said, I probably would not go there again. In the summer, it’s probably fine, as there is a huge nightclub as well. Thankfully we picked up some wifi signal and got back safely to the city centre. 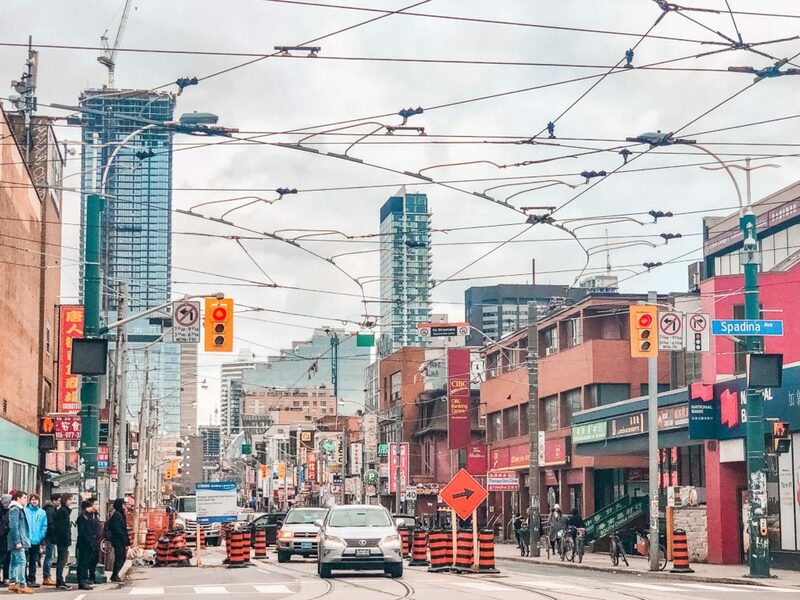 Next stop, Queen Street to explore more of Toronto’s nightlife (check out the best European cities for partying too). We didn’t have time to see anything else on Sunday because we were rushing for the bus to Niagara Falls (which we missed because of the Santa Claus Parade, but that’s a whole different story). 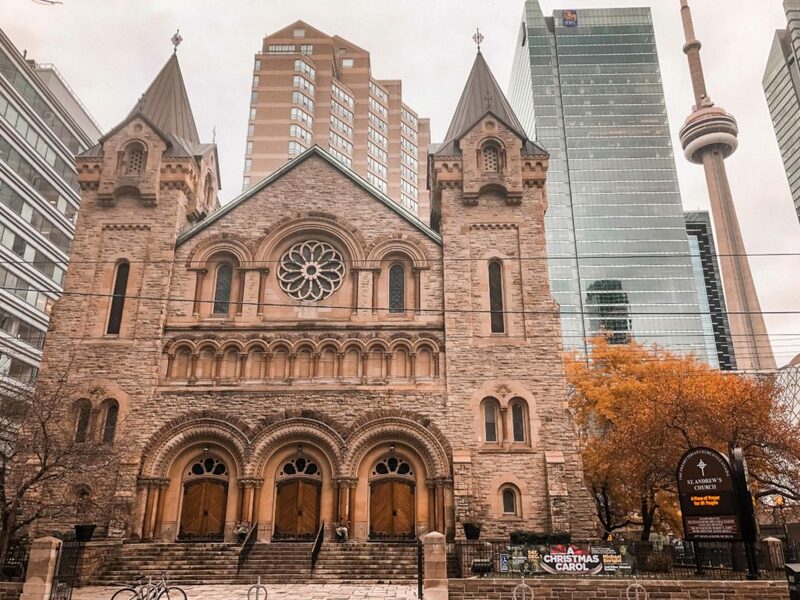 There’s a lot more to see in a weekend in Toronto though – here are some of my recommendations. 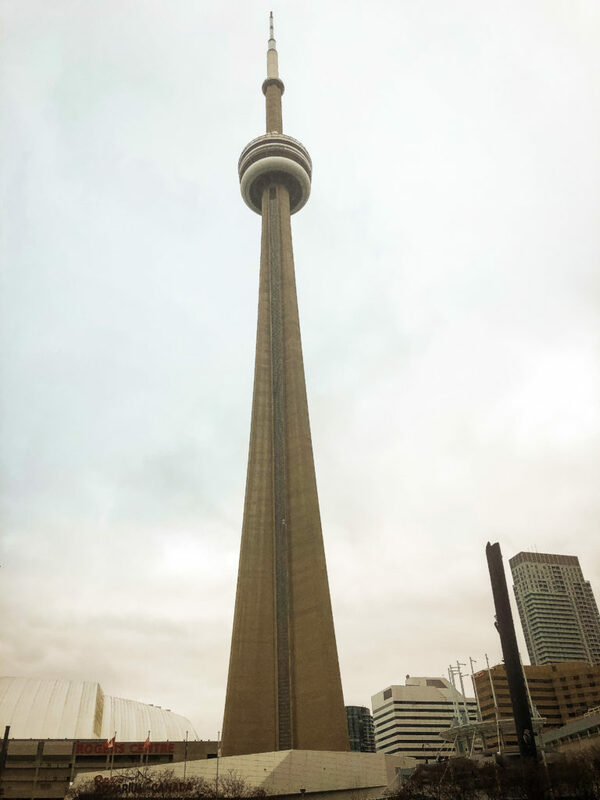 You should definitely check out the iconic CN Tower, which is now not only a TV tower, but also has public viewing terraces, a revolving restaurant (360 Restaurant) and an entertainment complex. If you like adrenaline, you can also do EdgeWalk – a walk along the edge at an altitude of 356 meters! You can get tickets here. Right next to it, you will find Rogers Centre, where you can watch your favourite game or concert. If you’re a fan of sealife, make sure you visit Ripley’s Aquarium of Canada. Casa Loma is something you would not necessarily expect travelling to Canada but it’s actually a castle. And because it doesn’t really fit with typical Canadian buildings, it’s one of the most popular attractions. If you’re travelling to Toronto during the summer, you should for sure visit Toronto Island. There are great beaches, a small amusement park and an amazing view of the city. The island is an oasis for people who love the silence and calm and want to relax. Don’t miss the ROM – Royal Ontario Museum. This is the biggest museum in Canada, with six million exhibits. And of course, let’s not forget the Hockey Hall of Fame. This place is dedicated to the history of ice hockey, where you will find National Hockey League trophies (NHL). 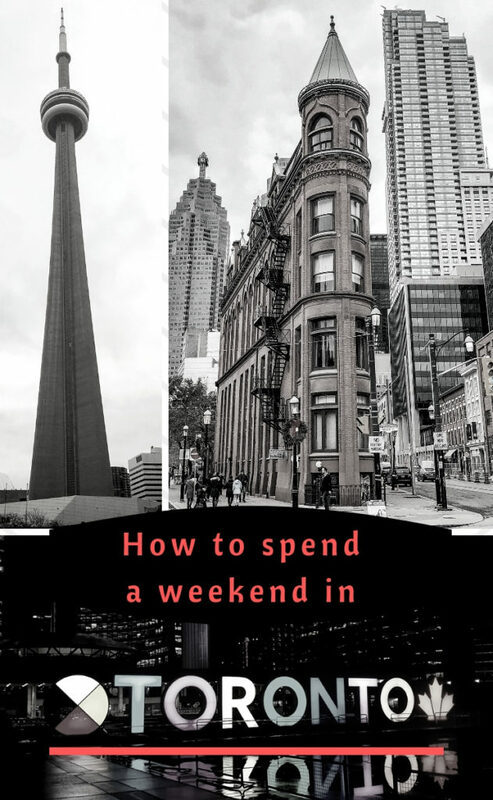 Have you spent a weekend in Toronto? What are you most looking forward to doing there or what was your favourite part of the visit? 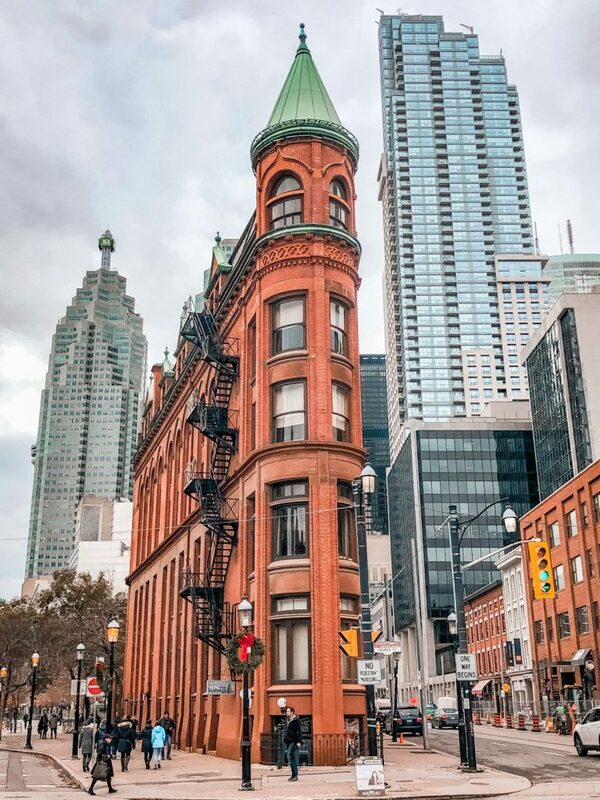 I always love the European architecture influence throughout Canada. 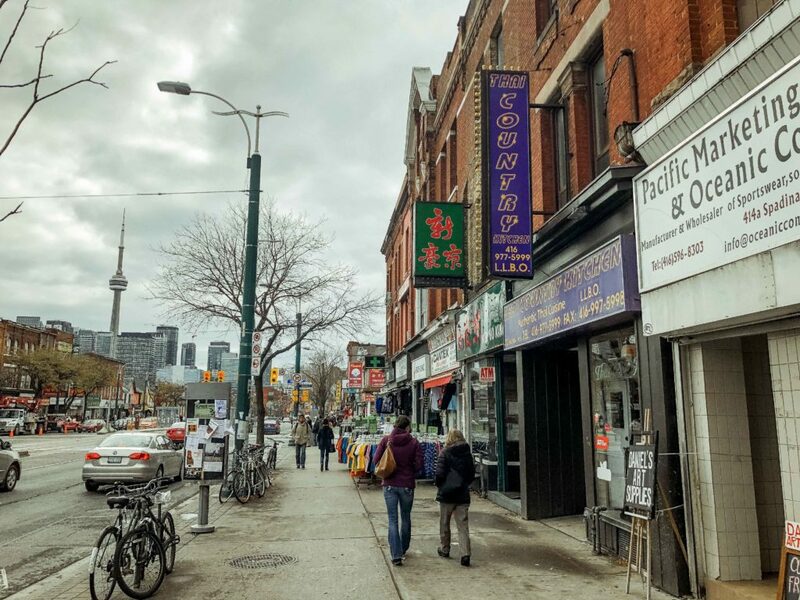 The Toronto Chinatown looks like a can’t miss kinda of place. The CN Tower is so beautiful, I would love to look out fro the observation deck. Toronto looks amazing. I haven’t visited as yet but will get there one day. 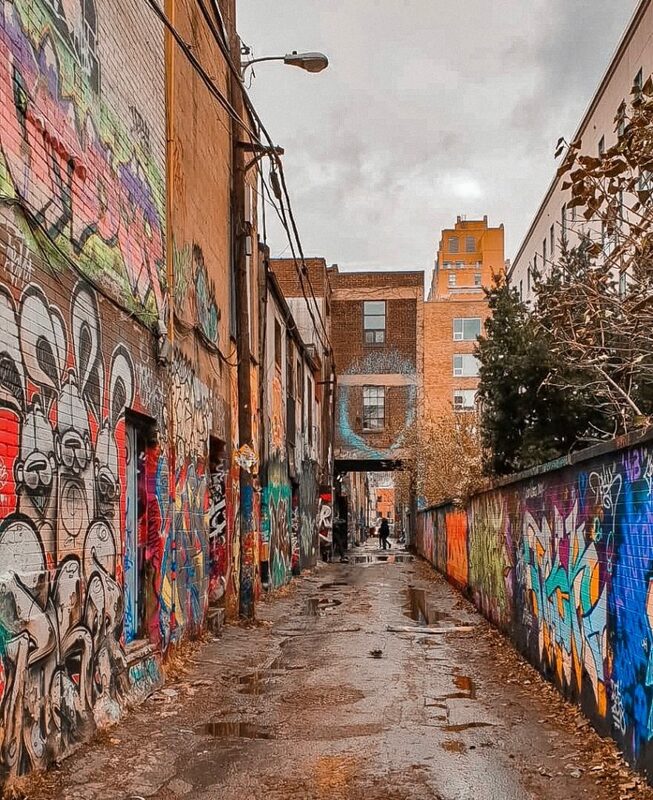 I particularly want to see Graffiti Alley. The view from the Marriott looked spectacular, what a great location. The CN Tower is a must as well. I was in Toronto 2 years ago and loved it! 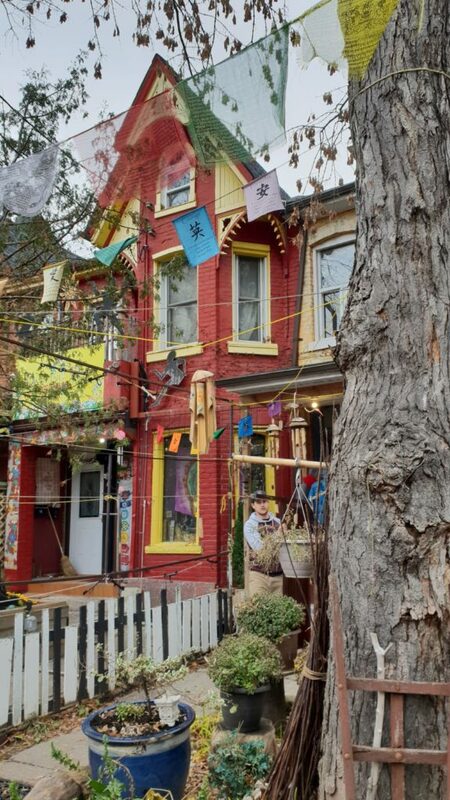 I really like Kensington Market and the vintage places. I also stopped for some authentic Chinese food in Chinatown; it’s bigger than I realised and very cheap too! The distillery area’s so cool, when I was there, they were filming a movie! Food at house of Gourmet looks so delicious. And I didn’t even know of Casa Loma till today. 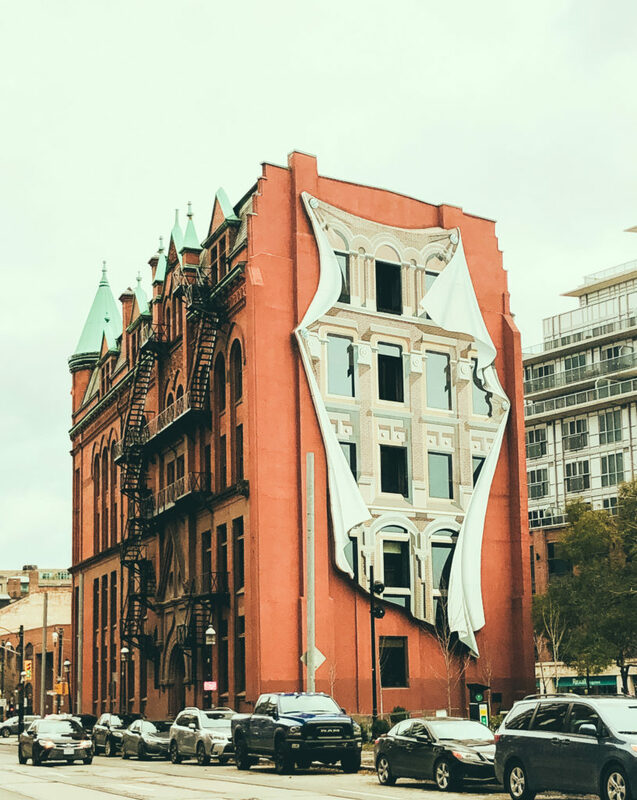 I wanted to visit Toronto just for its street art, but there is so much more to do in the city!! Loved your suggestions!! I’m helping a friend plan her first trip to Toronto and this was a really helpful guide, thank you so much! 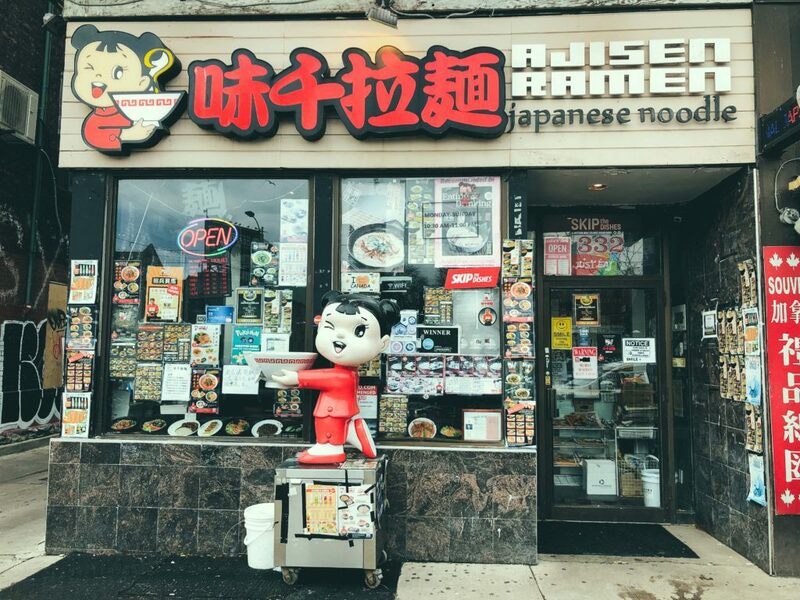 She loves Chinese food so I told her to put House of Gourmet on her itinerary. 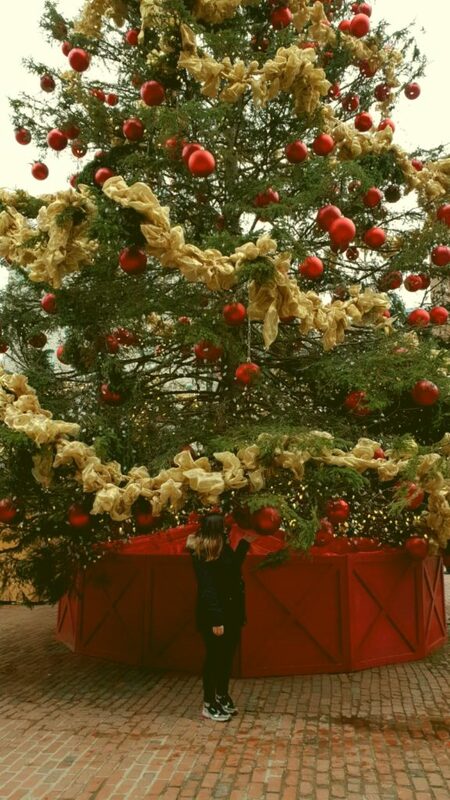 It’s too bad she’s not going during the holidays, because the Christmas market looks amazing. Thanks for the detailed guide! Toronto is such an amazing city! I loved it even though I’ve only ever visited it in the heart of winter. 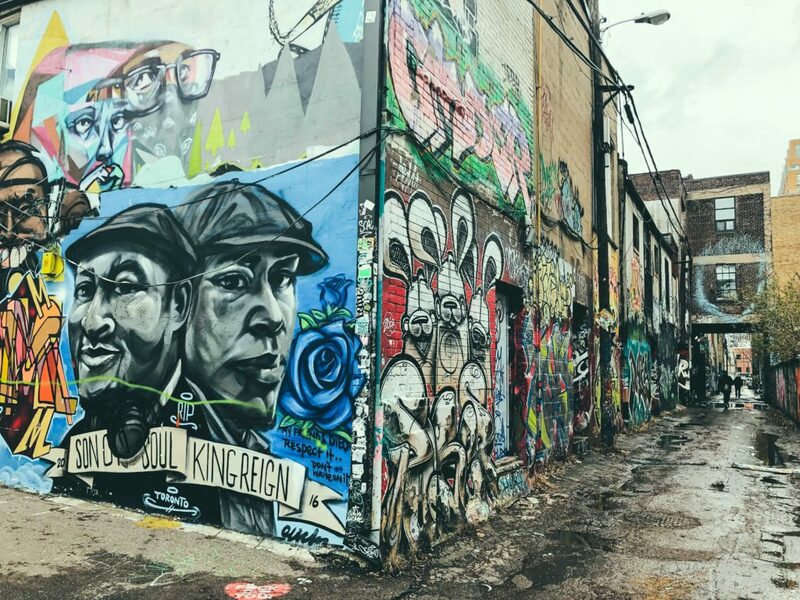 The city is full of so much to offer and you’re lucky you were able to touch on many of those amazing experiences – especially Kensington Market and Graffiti Alley! Haven’t been to Toronto yet, but pictures make me wanna take a trip that side. And I agree, the view from Mariott is simply amazing. 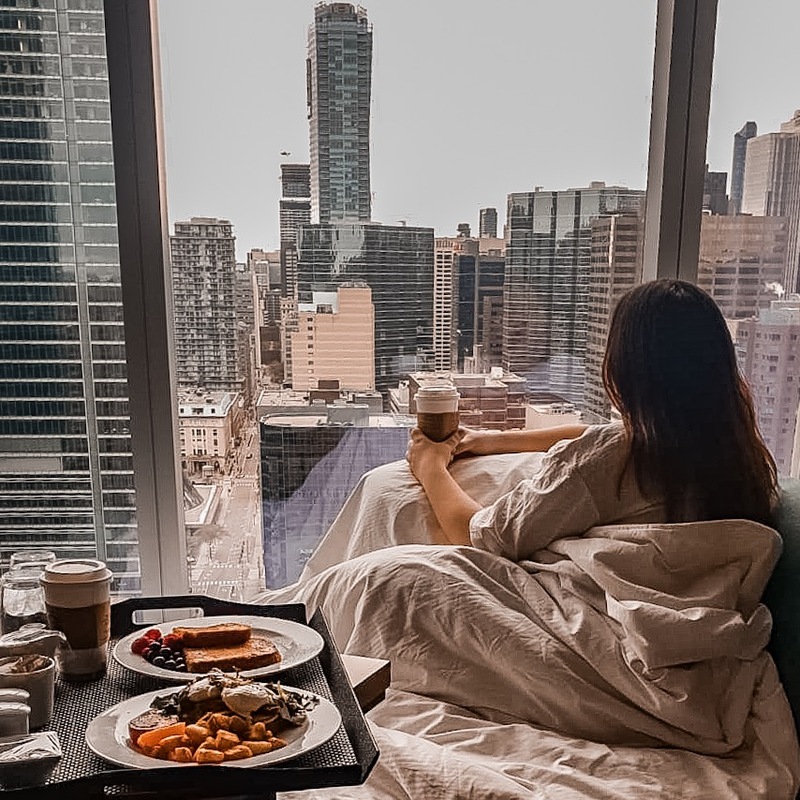 I really love how you’ve listed out things to do in Toronto, and even shared whats better and when. 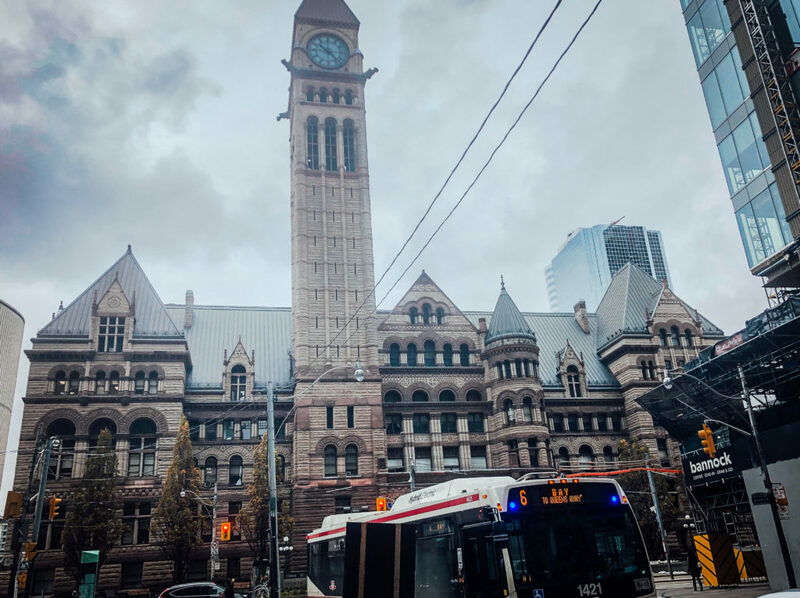 I haven’t been to Toronto that’s why your guide is perfect for me, something to consider! Foods looks delicious and no wonder you gave them a mention in your blog. I will share this as well to my friends, soon they will travel to Canada, and add this to their itinerary.